“This guide gives a basic introduction to ecological sustainability issues and specifically how the built environment affects them. It begins by outlining the Australian position on Ecologically Sustainable Development (ESD) and some key policies relevant to buildings and ESD. A state government and industry sponsored guide to a few of Victoria’s greener buildings. A Flash site with interactive map. Rem Koolhaas’ speech to the Ecological Urbanism Conference , Harvard University, 3 April, 2009. _“Recent research shows that most businesses want to reduce their greenhouse gas emissions but few have the appropriate information to manage the process. in United Kingdom Oxfordshire Oxford Last verified 10 years ago. Greenpeace’s helpful guide to specifying timber in Australia, in such a way that PNG does not end up shaven bald. The page you need to know if you’re practising in Victoria, as everything changed on May 1st. in Australia Victoria Last verified 11 years ago. 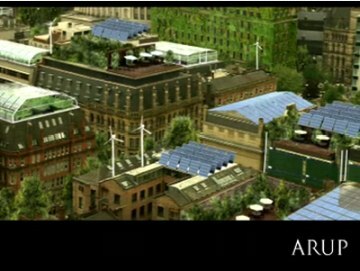 American resource portal for green roofs. Rate your office building or tenancy’s environmental impact with this handy tool. in Australia Last verified 11 years ago. Commercial web site for all things greenish (meaning plenty of ads). Many articles posted every day, and a busy forum.